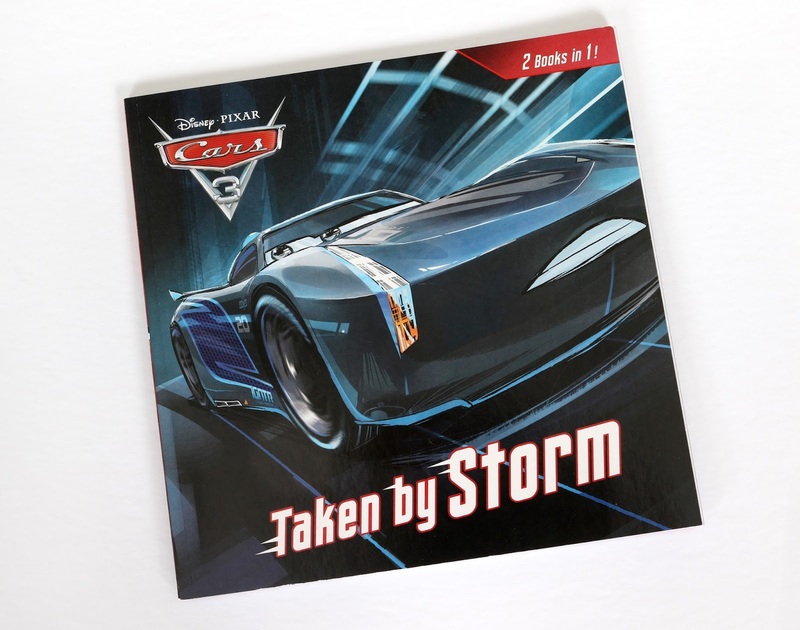 From Random House Publishing, here's a pretty fun Cars 3 book that I got back on its May 2nd release date...well, actually it's two books in one: Taken by Storm AND How to be a Great Racer! This review has been a long time coming. 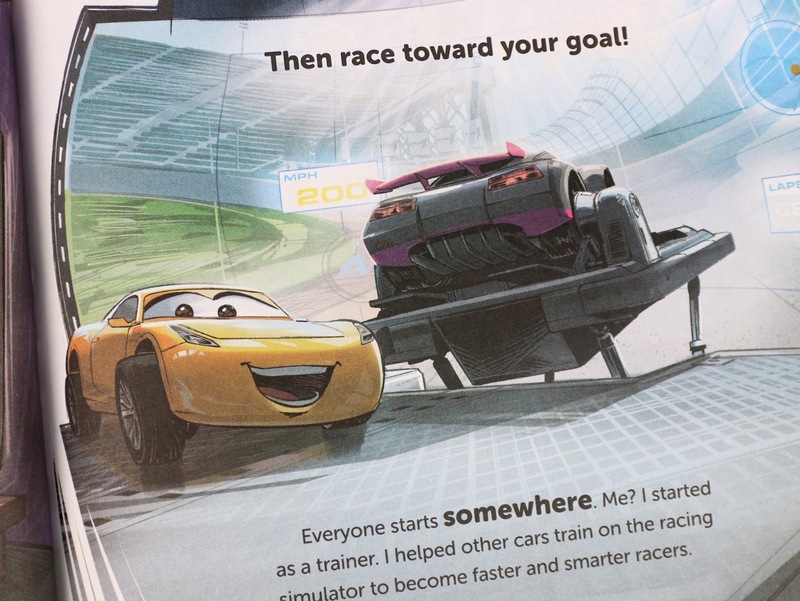 I got behind in my Cars 3 book reviews because I actually didn't even crack them open until I saw the film in late June; by then I had so many exciting things to post about and this was one of them that unintentionally got put on the back burner. 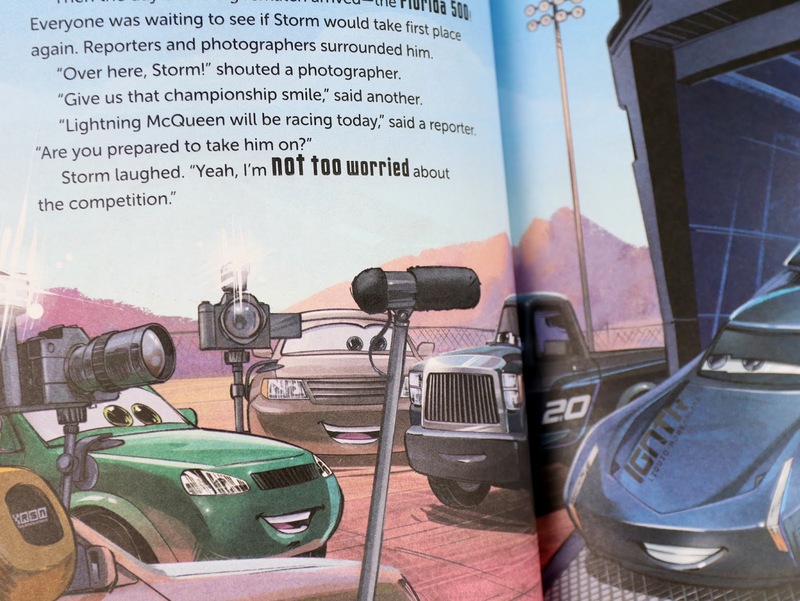 What you can expect with this book (or books) is a full-color, fully illustrated storybook that essentially goes through the main storyline of Cars 3. 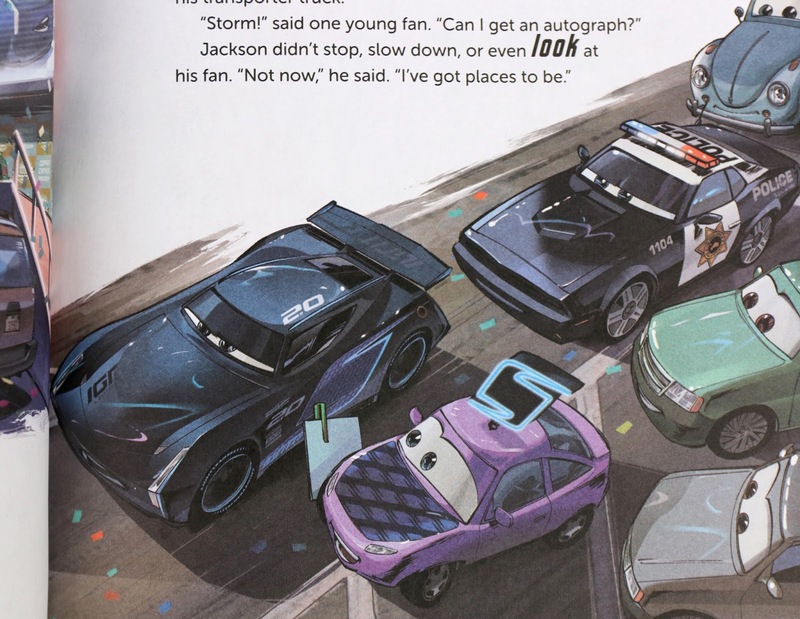 If you read it starting from the Taken by Storm side, you get the story mostly from Jackson Storm's perspective. 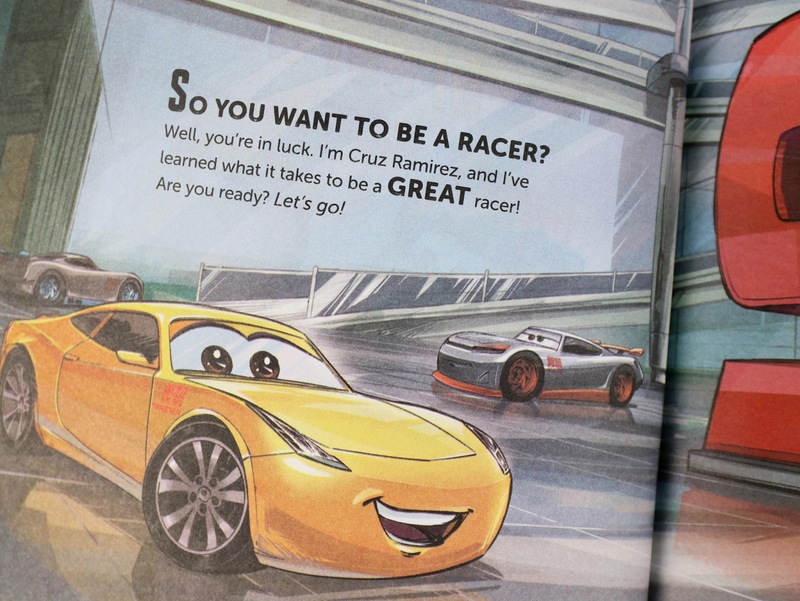 Then if you flip it over and read it from the How to be a Great Racer side, you of course get it from Cruz Ramirez's perspective. If you remember the 2015 Inside Out inspired Joy's Greatest Joy book, it's the exact same concept. 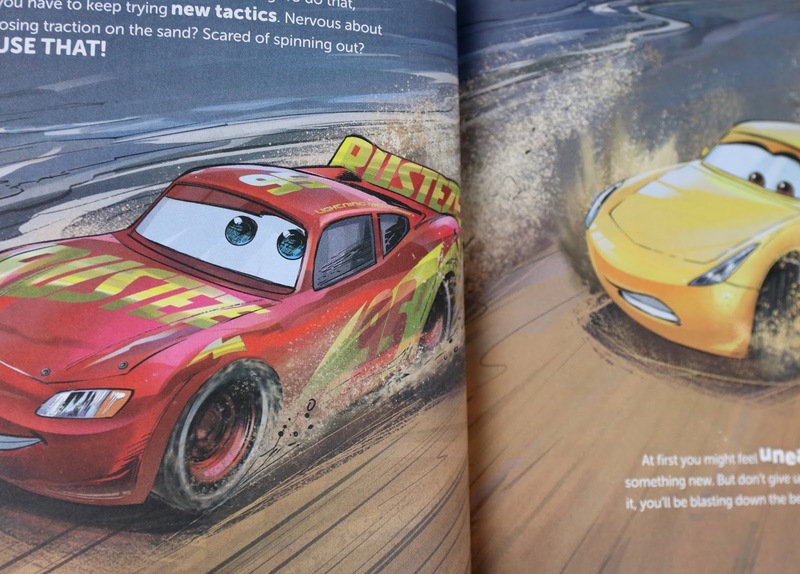 Both books within this book are written by Bill Scollon, who does a great job summarizing the film's story with simple writing that young kids ages 3-7 can read/understand. The illustrations are great too, however there's no artist credited. 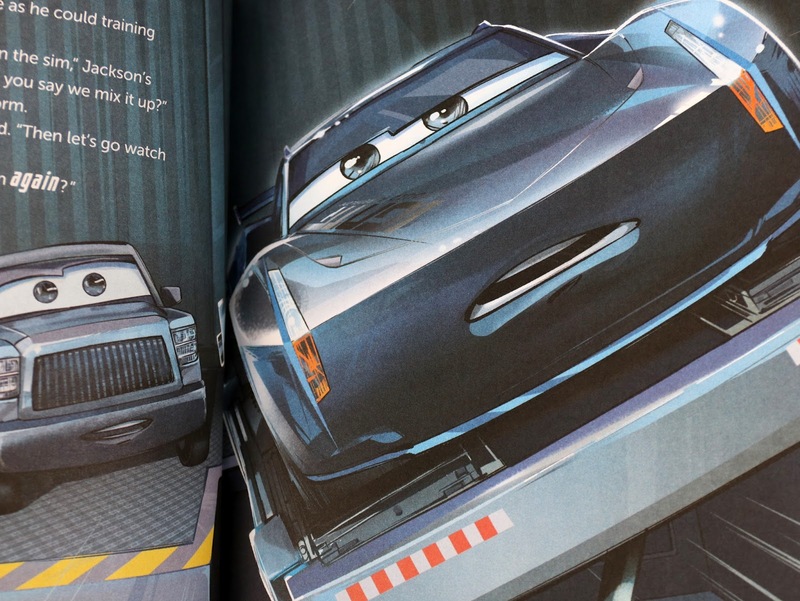 It only states, like a lot of these types of books, that it's "illustrated by the Disney Storybook Art Team." I wonder why that happens with a lot of Disney books? Take a look inside both books below to see if this is something you'll want to pick up for your collection! Combining both books, this is about 46 pages in length. 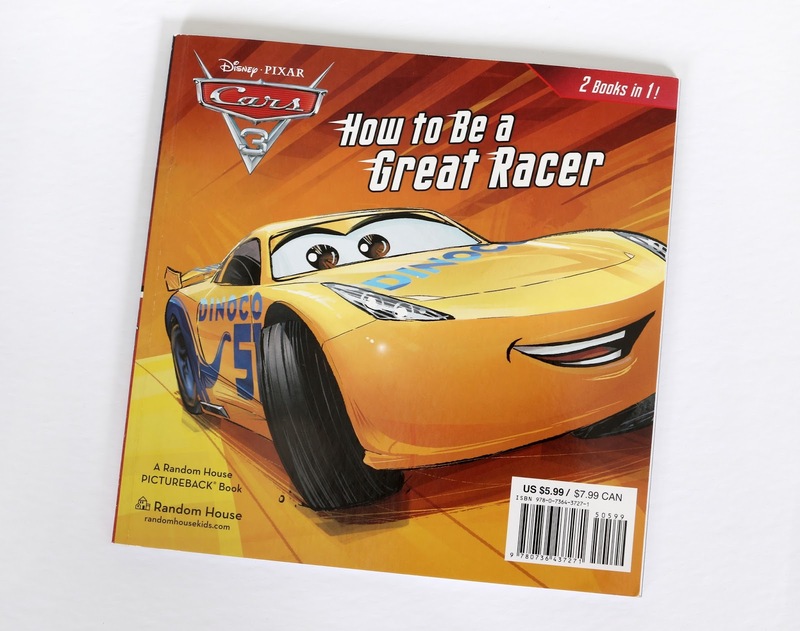 "How to be a Great Racer"
I'm sure your little Cars fan will love to read/be read to the story of Cars 3 here with these books. And with all these fantastic illustrations, you really can't go wrong— especially as they wait for the home video release! 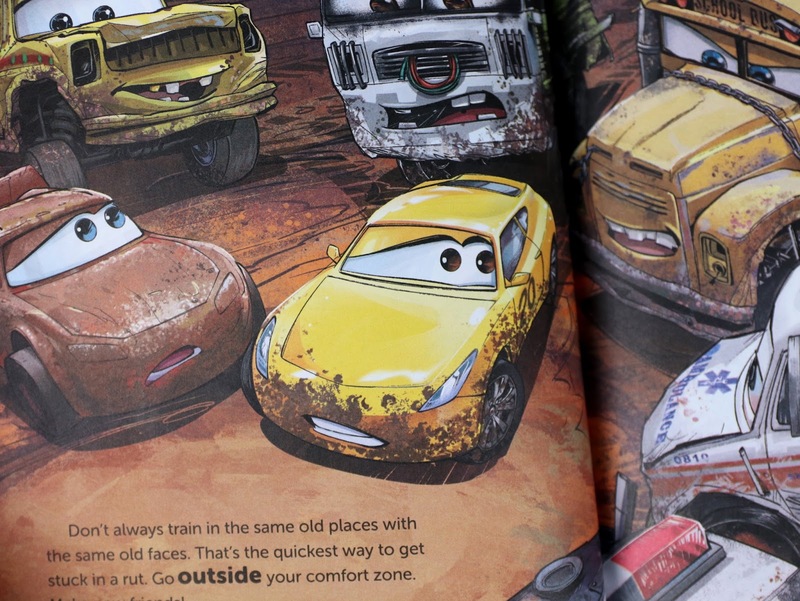 Look for this wherever Cars 3 books are sold (Barnes & Noble being a safe choice) or grab it on Amazon using the direct link below. 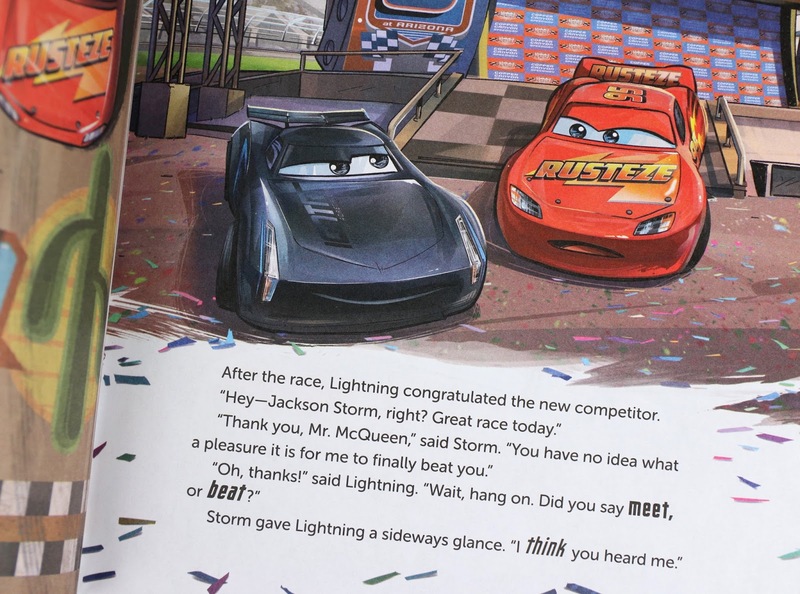 What do you think of Taken by Storm / How to be a Great Racer?